The new GMC Canyon, available at our American Fork dealership, is a light-weight truck that is easy to maneuver and offers outstanding towing and hauling capabilities. The new GMC Canyon, offered at our American Fork dealership, is easier on the wheels than larger trucks and more versatile than any other midsize variety. It not only delivers on performance, but also offers a soothing ride to the driver. This mid-size pickup truck is available at our dealership. If you are looking for a brand new GMC Canyon at our American Fork dealership, we have an extensive inventory of this vehicle. You can narrow down their search by trim, mileage, pricing, and color. The new GMC Canyon, featured at our American Fork showroom, comes with a refined interior, with features such as triple door seals and inlaid door design that give the cabin a quiet atmosphere. In the new GMC Canyon, offered at our American Fork dealership, attention to detail has not been spared and design details, such as projector-beam headlamps, chrome grille surround and LED-signature front lighting, make this pickup striking and distinctive. 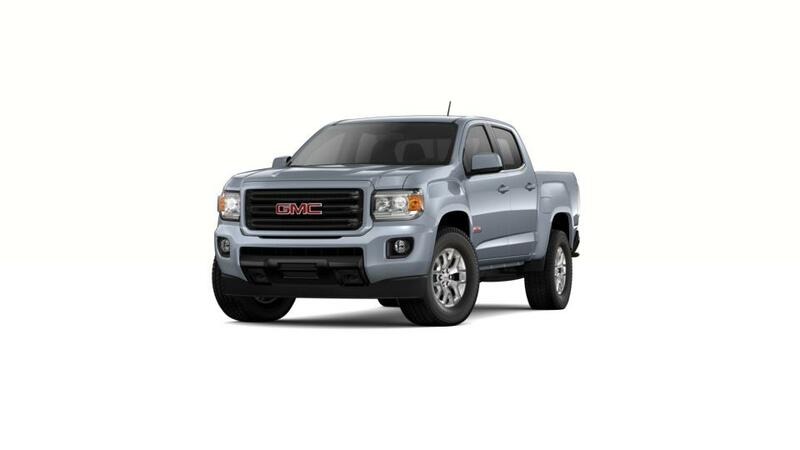 Visit us to test-drive a new GMC Canyon at our American Fork dealership today!